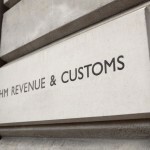 In the coming weeks, you will notice that it’s much quieter than usual on this blog and all the other blogs run by HMRC. It’s because between midnight on Friday, 21 April and the general election on 8 June is the pre-election period. This means that we only communicate essential information, in line with the general election guidance for civil servants. This applies to @GOVUK on Twitter, this blog, and any other HMRC blogs and social media channels.